Is your bathroom missing something? Is the design nearly perfect, but something’s a little bit off? Maybe it’s your lighting. Whether you are unsatisfied with your current bathroom lighting or considering some remodeling, here are some tips on how to get the optimal lighting in your bathroom. 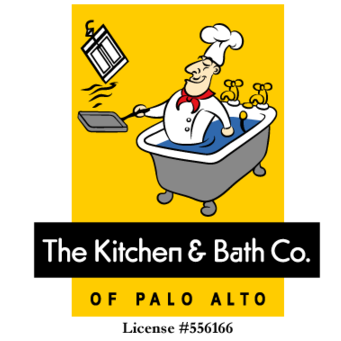 If you need any further help, contact Tim Hmelar and his team from The Kitchen and Bath Company of Palo Alto. They’ll be happy to answer any questions and give you the advice you need. If you want your bathroom to have the perfect lighting, you need to have a lighting plan that addresses all of the roles that lighting can play. This is the first kind of lighting that we need to consider. It’s pretty straightforward. . . for doing tasks. The vanity lighting is important for being able to see the head and face for grooming purposes. Don’t put the ceiling fixture directly over the mirror if you can avoid it. It will cast shadows on the face, which can make grooming more difficult than it needs to be. The best options are sconces or vertical fixtures on either side of the mirror. These will cast even light across the face, but unfortunately not every bathroom design can accommodate these without major renovations. If this isn’t an option, try to install a long horizontal light over the mirror – ideally over two feet long, so that it can cast an even light across the face. The second important kind of task lighting is for the shower or tub surround. In small bathrooms with clear glass doors, it may not be necessary, however a recessed light above the shower or bath tub can really brighten things up. Most building departments normally require that any lighting in a wet location have a lense that has both safety glass and moisture protection properties. The great thing about most LED lights is that they are rated to be installed in shower and tub surrounds. In addition to your task lighting across the vanity, you also want to make sure that shadows for the cheeks, eyes and chin can be removed. Lights on either side of the mirror can solve these problems. 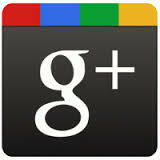 Most manufacturers of ventilation fans offer models with lights and night lights built in the fan. There’s even brands of fans that are designed as a recessed light with a fan unit integrated with the light. If you’re planning on installing a fan with a light unit in it; it is strongly recommended putting the different lights on timers or occupancy sensors. An example of a fan with a night light and regular light would have three switches; one for the night light, one for the regular light and one for the fan. Many building departments require that if you’re using incandescent light bulbs (regular light bulbs) in your bathroom that the lights have a manually activated occupancy switch that shuts off automatically when the room is vacant. Want to learn more about Occupancy Sensor switches check out our blog post What The Heck is an Occupancy Sensor Switch? and Why You Might Need One. Using the wrong rated recessed light may cause a fire hazard if the light housing comes in contact with insulation. Consider installing lighting in the toe kick of your vanity – it provides great lighting at the floor lighting the room up at night while being soft on the eyes. Consider installing a wall switch with a light in it for ease in locating switches when entering the bathroom. 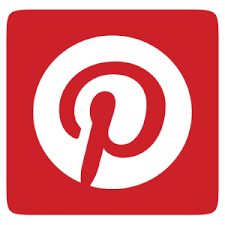 Many building departments require that all wall outlets in the bathroom are dedicated outlets. That means no other items in the bathroom may use the same electricity that is feeding the outlets. 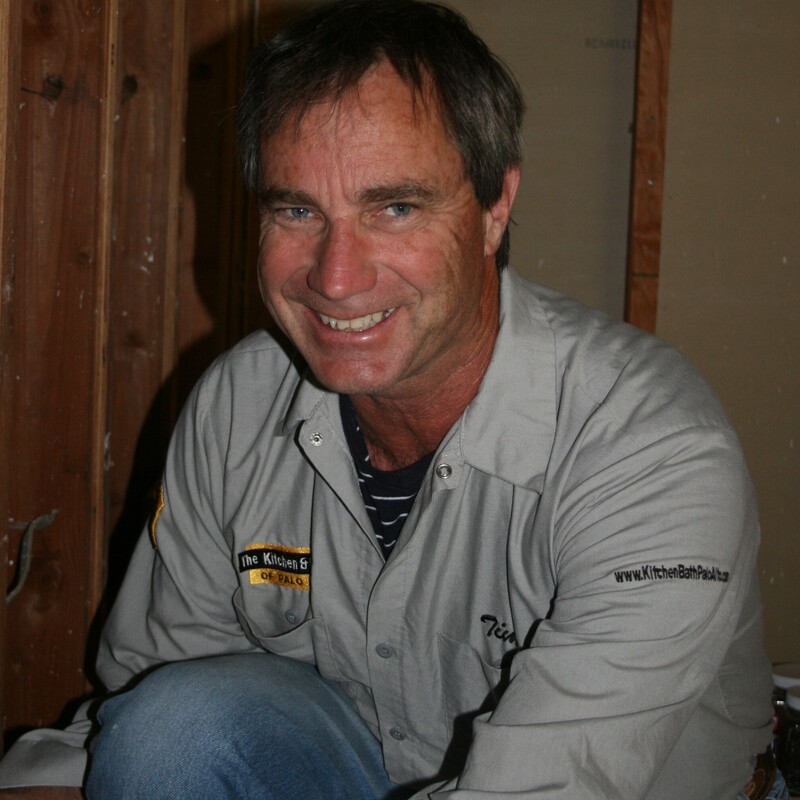 A common mistake is for remodeling contractors to install lighting using the electricity from the outlets only to find out the building inspector won’t allow it. Have the freedom to change the mood and install dimmers. With these, you can avoid harsh lighting when you feel like relaxing, but still have the bright lights when you need to look at something in the mirror. Dimmed lights can also help to conserve energy and make the bulbs last longer. 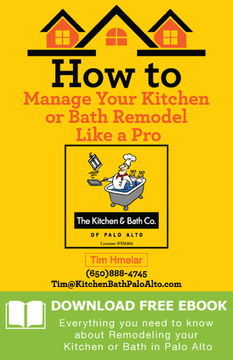 If you have lighting questions, give Tim Hmelar of The Kitchen and Bath Company of Palo Alto a call at (650)888-4745.